A model of the developmental Franco-German fighter was revealed by industrial partner Dassault in October, a development that was further boosted by neighboring Belgium’s new commitment to invest in the program. However, this progress has been somewhat overshadowed by a threat from France to withdraw from the project as a result of Berlin’s ever-narrowing attitude toward arms exports. 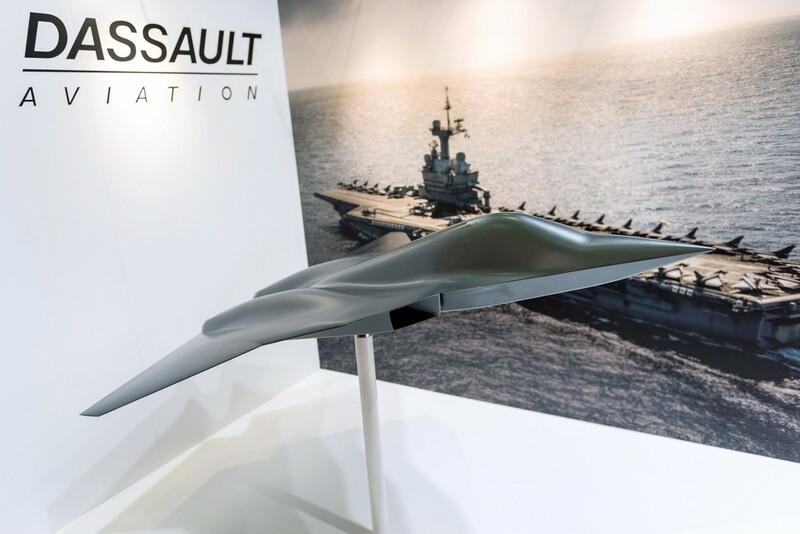 Dassault used the Euronaval exhibition in Paris to unveil what it termed the Next Generation Fighter, a representation of what is being developed for the Système de Combat Aérien du Future (SCAF)/Future Combat Air System (FCAS) program. The fighter employs a stealthy twin-engine tailless delta configuration, described as being “more ambitious than the F-35” by Dassault Aviation CEO Eric Trappier. SCAF is to consist of a highly-connected and net-enabled system of systems including this new-generation fighter, but also comprising unmanned combat aircraft, swarming UAVs, and future air-launched weapons. The aim is to produce a replacement for the Rafale and Eurofighter in French and German service, from the 2040s onwards. Meanwhile, German magazine Der Spiegel reported that France was threatening to withdraw from the program over concerns regarding Berlin’s attitudes to arms exports. In Belgium, the lower-than-expected U.S. F-35 bid to meet the country's Air Combat Capability Program requirement left €647 million ($726 million) unspent. Reportedly, the decision has been made that €369 million of this will be invested in developing next-generation fighter, specifically in the SCAF program. French president Emmanuel Macron also criticized the Belgian decision, saying that "strategically, it goes against European interests,” and “Europe won't be strong unless it is truly sovereign and knows how to protect itself." But behind the scenes, it has become clear that there is an underlying tension between the French and German partners, as the report in Der Spiegel illustrates. The German magazine cited cables from the German ambassador to France that highlighted differences between the two nations with regards to the export of arms to countries like Saudi Arabia. French armed forces minister Florence Parly outlined the French position on arms exports when she appeared in front of the French parliament’s defense committee in February: “If we co-operate on the industrial level without having the possibility of selling the equipment to other countries, the economic model for this cooperation will not be viable,” she said. France believes that exports of the new fighter will be essential to funding the program and that Germany needs to provide long-term guarantees that exports will be permitted to prevent France withdrawing from the project. But such guarantees will be hard for Germany to provide, since it has less liberal arms export legislation, while German public opinion is generally more opposed to arms exports, increasingly so to certain nations.